Addressing the prevalent issue of poorly designed quantitative information presentations, this accessible, practical, and comprehensive guide teaches how to properly create tables and graphs for effective and efficient communication. The critical numbers that measure the health, identify the opportunities, and forecast the future of organizations are often misrepresented because few people are trained to design accurate, informative materials, but this manual helps put an end to misinformation. 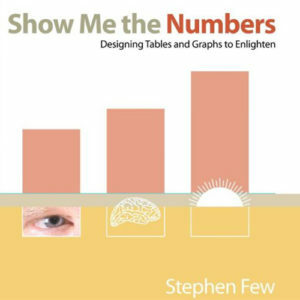 This revised edition of the highly successful book includes updated figures and 91 additional pages of content, including new chapters about quantitative narrative and current misuses of graphs–such as donut, circle, unit, and funnel charts–and new appendices that cover constructing table lens displays and box plots in Excel and useful colour palettes for presentation materials. With 30 years of experience as an innovator, consultant, and educator in the fields of business intelligence and information design, Stephen is now a leading expert in data visualization for sensemaking and communication.